Every town needs a bar where you can also grab a great meal. 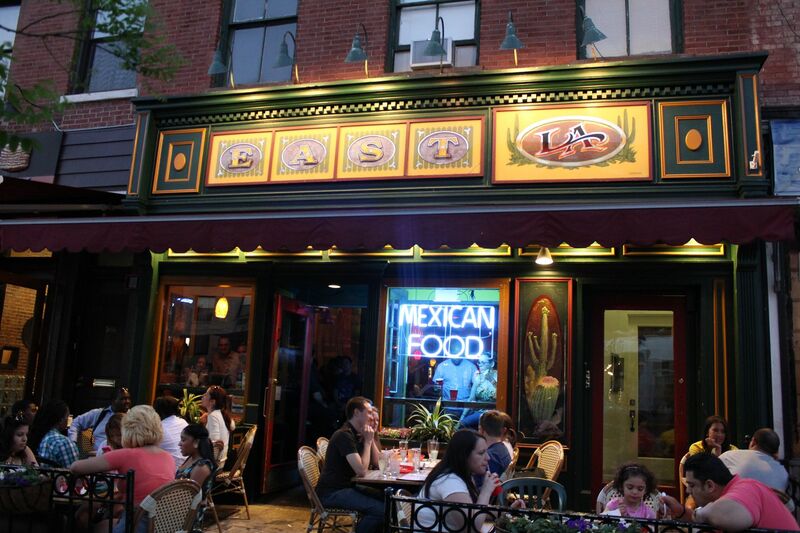 Most would agree that it’s important to be able to down some tasty suds, washing down some equally delicious food and with no shortage of these options in the Sixth Borough, Hoboken’s East LA is as good as the come. Located on the ever growing and busy Washington Street, East LA aims to serve locals great Mexican fare, while pouring some serious Margaritas and traditional Spanish ales. For many of us working stiffs, the hours between 5 and 7pm are sacred. Happy hour is truly the cornerstone of the American work week. 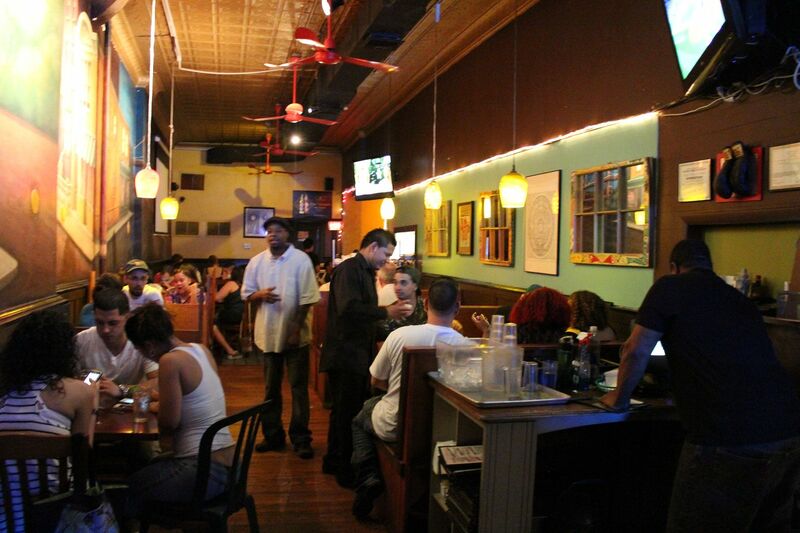 Luckily, Hoboken’s East LA is a welcome addition to the fold of excellent happy hour joints. We visited this restaurant-bar hybrid on a fairly nice spring day. Before we even went inside we spotted guests sitting out front on East LA’s excellent sidewalk cafe enjoying drinks and dinner. It is also a perfect place for people watching. But as soon as we walked through the door we noticed how much East LA is a joint for after work types to have a chill out session with friends and lovers. 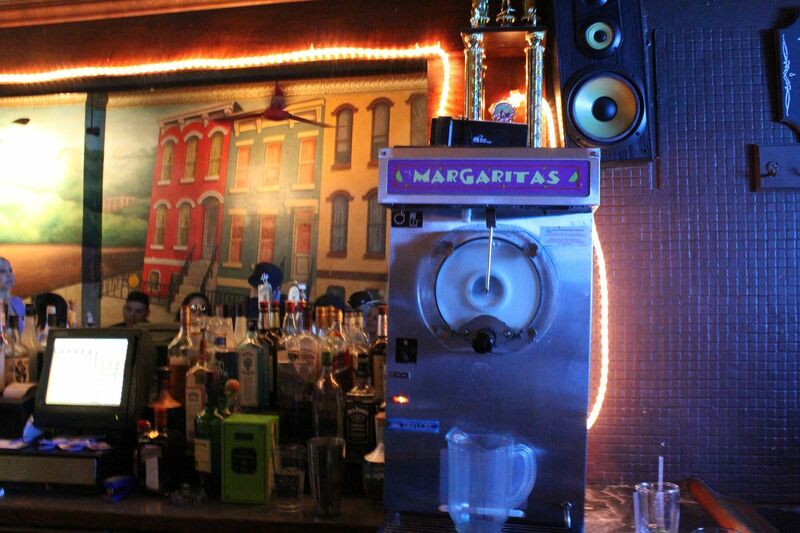 East LA comes equipped with over-sized frozen Margarita machines and as we walked through the bar area we could see patrons slurping the icy booze down. The most popular flavor appeared to be strawberry, made with real fruit to make it extra tasty. 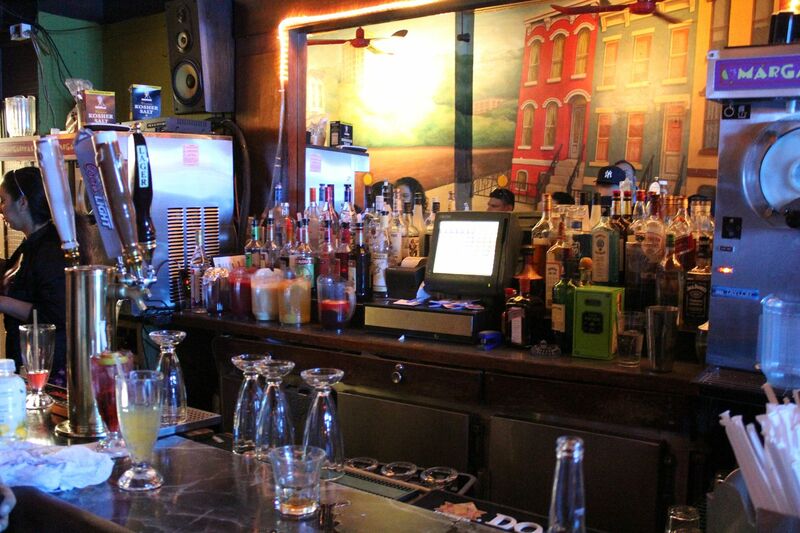 Whether you sit at the bar or one of several tables in the back, prepare to have a lively evening. East LA is definitely not a place you would go to take in a quiet dinner but in the end that’s the point. During my visit the place was a buzz with a thirtysomething crowd who still know how to party and laugh it up. Some say it was the over-sized Margaritas, but I say it’s just the type of crowd this joint draws. Guests who come to dine or drink alone, fear not East LA has you covered. 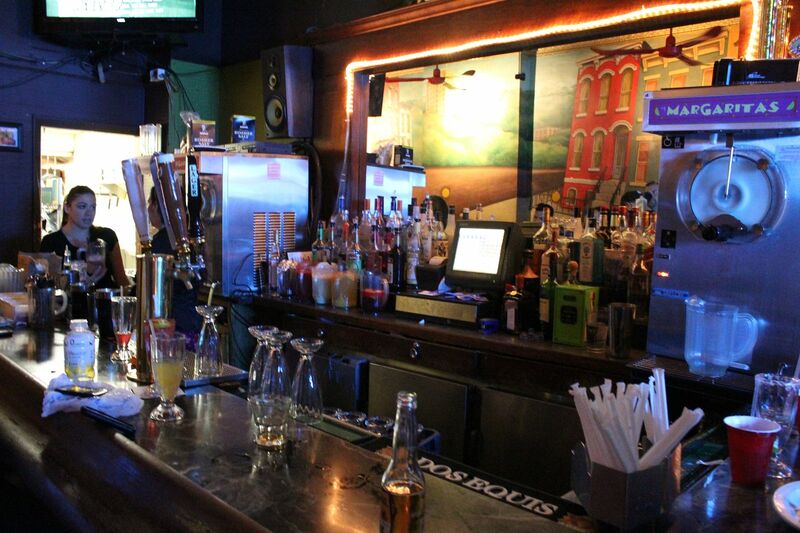 The front bar has your typical flat screen TVs, and a knowledgeable and friendly bar staff to pour you reasonably priced drinks until you make friends! 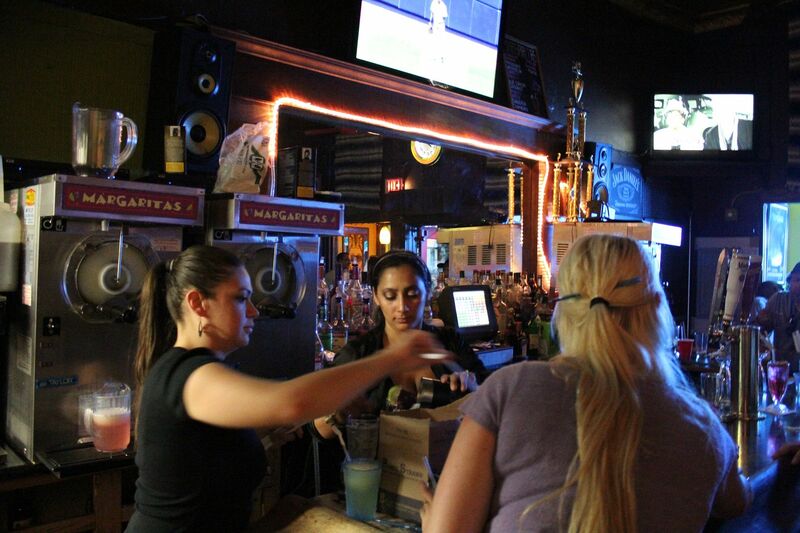 Preconceived notion – A Mexican restaurant that happens to have a bar. 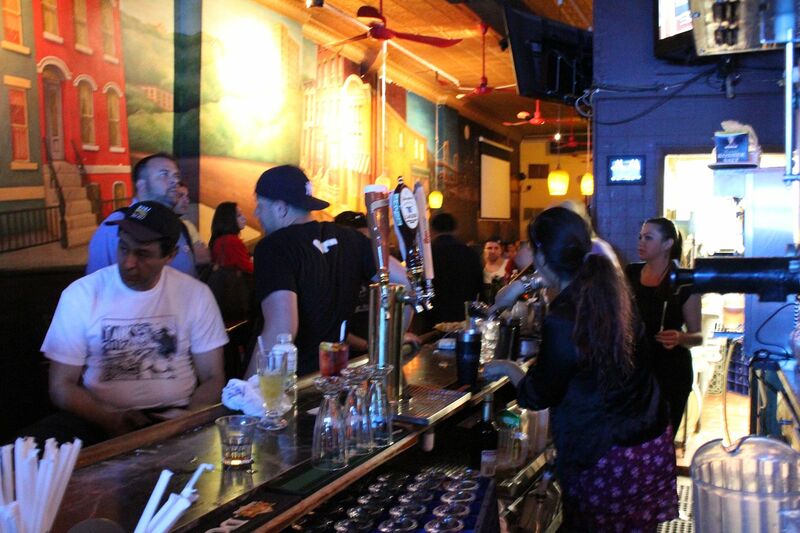 Crowd stereotype – Happy hour revelers, and those looking for a reasonably priced meal. Music – Dance and Hip Hop. 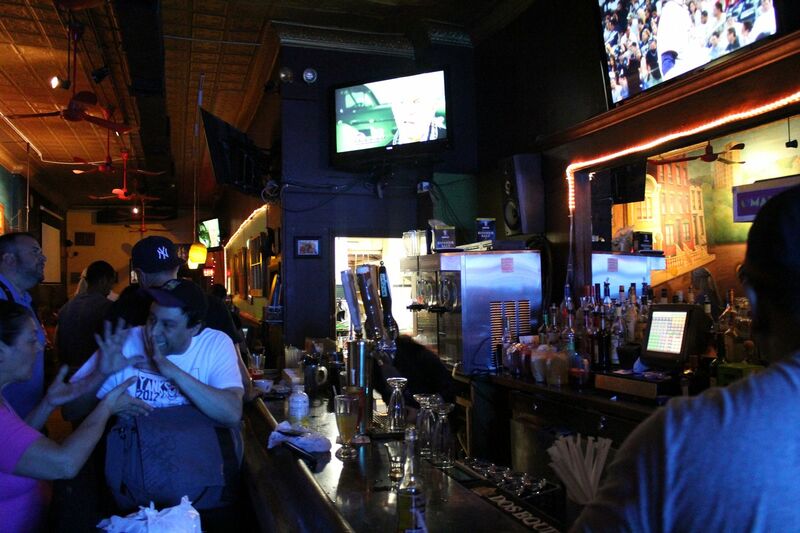 Value – Great Happy Hour specials, and some of the best Margaritas in Hoboken. Date – With food, drinks, and a lively atmosphere East LA is a great spot to bring your girlfriend but maybe not a first date. Hookup – After a few of those margaritas, you might be able to sweet talk your way into a positive situation. Dance – If the bar area isn’t too packed you could get a few moves in. Just try not to step on anyone’s toes. Catch up with a friend – Yes! But you may have to talk quite loud to each other. First or last drink of the night – I say start here. It’s a great joint for getting your energy up.